Dahn Healing Institute (DHI) proudly presents the most comprehensive program, incorporating optimal tools leading today’s medical, holistic and scientific fields. Through western, eastern, and energy techniques, our students experience the knowledge in wellbeing and how to transfer this physical and mindful knowing to their clients. Our exclusive programs Brain Respiration and Dahn Method have gained worldwide attention and benefits have already been experienced by millions. They are making headlines in the news [featured on NBC]. Since 1976, the Acupressure Institute has offered comprehensive acupressure trainings in traditional Asian bodywork and massage to students from around the world. The Institute provides high-quality education that supports each student's professional and personal goals in a setting that encourages communication, respect, confidentiality and safety for everyone. As alternative therapies gain greater acceptance and recognition, the ancient hands-on practice of acupressure is becoming a vital part of the future for healthcare. 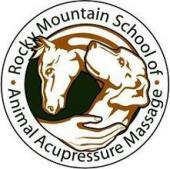 The Acupressure Institute offers various levels of bodywork trainings. Students begin with the undergraduate 150-hour Basic Acupressure Program, receiving a certificate, and then continuing with the 200-hour Specialization Program or the 850-hour Acupressure Therapy Program. We offer 700 hour certification programs in Shiatsu and Tuina that will enable you to become nationally certified through the NCCAOM and ultimately licensed to practice. In addition to these trainings, we offer a range of Qi-development (Taiji, qigong, yoga, meditation) & continuing education classes open to everyone. Wellness practitioners are available for individual appointments. Come by and experience our school! 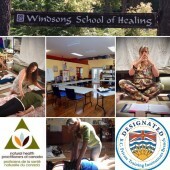 Phillips School of Massage has been educating healing arts professionals since 1983. We offer Professional courses as well as a wide variety of Continuing Education Workshops. Specialized internships available in Oncology Massage and PTSD Massage Trainings We are registered by the BPPVE (#2900071); and the California Board of Registered Nurses (CEP BRN #6284). We are also recognized by the National Certification Board as a Basic Education Provider and have been a Member of Associated Bodywork and Massage Professionals since 1991.
theCare is a Wellness Center with 3 clinics located in Vancouver BC,Canada. 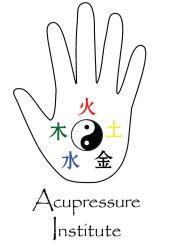 We offer holistic practice of acupuncture,acupressure,Tui Na,Chinese Medicine, Tai Chi, Qigong. 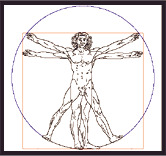 Our renowned patented herbs line- Dr.Herbs is the first Yoga Herbs of TCM supplied across Canada & UK. Our continuing education workshop teaches Tui Na, Pediatric Tui Na and Chinese Spirituality. Tai Chi Qigong & meditation workshop with traditional training style. The art of balance, Tai Chi offers its practitioners a wealth of health benefits for hundreds years. The precise, non-break slow movements of Tai Chi enhance balance and posture, as well as adding to an overall bodily awareness and greater fitness. Unlike the other types of combative Chinese Kung-Fu, Tai chi is considered an elegant martial art with its core principle following traditional Chinese philosophy. An art to practice the Tao of Yin and Yang, Tai Chi means an approach to harmonize the body, mind and spirit to their primary balance. Traditional Chinese Medicine principles are followed to make the practice a gate way to your better health. Tai Chi Qigong is the most important fundamental practice in traditional Tai Chi, which enhance the energy performance. In the past, only selected students have the chance to learn it. More internal visualizations are integrated to assist learners understand Tai Chi principles. 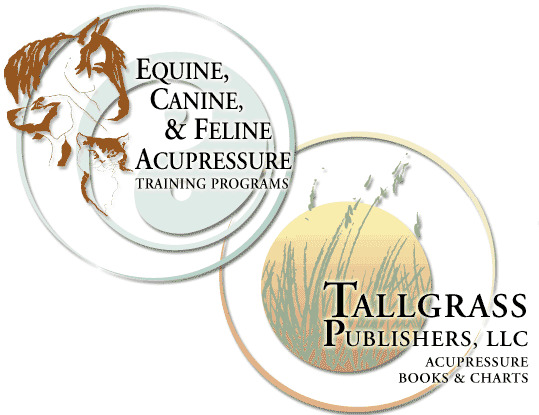 720-hr training in Acupressure that leads to national certification and licensure. Evening and weekend classes. Coming to know that leasing a car rather than buying one is the easy part. It’s pretty obvious that there are big advantages to leasing, such as being able to always be driving new model cars with the latest technology and the most up to date safety features, being able to simply switch to a different vehicle if your needs or tastes change, not getting stuck having to sell a car that started depreciating in value the second you bought it and drove it off the lot, etc. But finding the right place from which to lease a car can be tricky. There are so many different car leasing companies out there! But only one – New Car NYC – is able to offer you the largest inventory around of vehicles to choose from, the lowest prices available, and the most convenient car leasing experience possible. And to top all that off, we’re committed to making sure we offer great customer service! Other car leasing agencies are very limited in what they can offer when it comes to inventory. With most of them, you’d be lucky to be able to get to choose from a very small list of different models. With us, though, you get an exhaustive selection of cars (coupes, sedans, convertibles, etc. ), trucks, vans, minivans, SUVs, and other off road vehicles to choose from. We’re able to offer you any new model car made by Acura, Audi, BMW, Buick, Cadillac, Chevrolet, Chrysler, Dodge, Ford, Honda, Hyundai, Infiniti, Jaguar, Jeep, Kia, Land Rover, Lexus, Maserati, Mazda, Mercedes-Benz, MINI, Mitsubishi, Nissan, Porsche, Ram, Subaru, Smart, Toyota, Volkswagen, or Volvo! You might be wondering how it is we’re able to have such a huge inventory, why other car leasing companies have such paltry pickings. The reason is that we don’t have a physical car lot. To explain why that makes all the difference in the world, just consider that physical car lots are, by nature, of a finite size; i.e., they can only have so many parking spaces on them. Our car lot is very different; it’s a virtual lot, all on the internet where you can easily access it 24/7. Our virtual lot not only allows us to have a lot that’s always the perfect size, always big enough to offer you any of those new model vehicles just described, but it’s a lot less expensive than physical lots are. Property costs, property taxes, utilities, insurance, payroll for the people who staff those lots – those are costs that we just don’t have. In other words, our overhead is a lot lower than our competitors’, and our saving lots of money on the costs of doing business means you get to save lots of money on the costs of leasing! The benefits to our having a virtual lot don’t end with their allowing us to have a huge inventory and to charge the lowest prices around; it also means that our customers get to have the most laid-back, chillaxed, convenient car leasing experience possible. You won’t have to try to bother friends or call a cab to try to find a ride to some car lot somewhere. You won’t be followed around that car lot by some salesman whose commission ranks higher in his mind than your needs and comfort. You won’t hear high pressure sales tactics designed to get you to lease something as quickly as possible. You won’t be rushed along as you look through our inventory. Instead, when you lease from us, you can do all your car shopping from your own home. Just grab a snack, turn on your computer, and surf our site, touring our virtual lot at your own pace. You can shop any day of the week, any time of the day or night, no pressure. Email to family and friends those cars that interest you so you can get their opinions as to which one would be the best choice to suit your needs and lifestyle. In other words, you can take your family and friends car shopping with you, without having to coordinate schedules and arrange rides. The car leasing experience simply can’t get any more relaxed, laid back, and convenient than it is with us! If you have any questions as you look through our inventory, we’re just a phone call away, ready to help! We’ll be a big help, too, when it comes time to think about financing. We work directly with banks and other lenders to make sure our customers get really good deals with great terms, low interest rates, and low monthly payments they can easily handle. After all the above is said and done, the day will come for you to drive your new car. We even make that easy, bringing your car to you – to your home, office, or most anyplace else that works for you that day – so you won’t even have to arrange a ride to go pick it up. We think of everything, and do our best to keep things easy for you! If you have any questions for us, just give us a call at 646-753-5196. Autospecialsnyc.com is operated by the country’s leading digital car leasing company, so we’re sure to offer you a huge inventory of cars to choose from, at the lowest prices possible. And you simply won’t find a more chillaxed leasing experience anywhere else! Central Park Sightseeing Bike Tours. Explore the world famous Central Park with an expert! Our Guided Bike Tour of Central Park is a must for visitors and native New Yorkers alike. Our fantastic licensed NYC tour guides ensure that you won’t miss a single historical monument, patch of stunning foliage, famous sight, or hidden gem within this iconic park. The moderately paced tour is perfect for riders of any skill level, and there are plenty of stops for pictures or questions, in-depth information about the park. On this tour, you’ll see sights such as: Strawberry Fields and the Imagine Mosaic, both tributes to John Lennon, Bethesda Fountain, Jacqueline Kennedy Onassis Reservoir., Belvedere Castle, Shakespeare Garden, And Many More! What could be better than a guided bike ride in Central Park, the first landscaped public park in the USA? Your guide, a top-rated city-licensed professional, rides alongside you and shows you all that the park has to offer: Bethesda Fountain, hidden waterfalls, cast-iron bridges, movie scenes, celebrity homes, skyscrapers… all while passing beneath many of the park’s 26,000 trees. You’ll learn the history of New York City, told in terms of the development of the city and its parks. You’ll bike right up to Strawberry Fields, the memorial to the life of John Lennon, and see the famous building where he lived. Credit bureau Experian released a report that said Atlanta-area consumers shoulder the highest debt among residents of the top 30 U.S. major metropolitan areas. The average debt per consumer in the Atlanta area was $39,540. Atlanta-Metro area also have the lowest credit score among the top 20 metro areas in the nation with an average VantageScore from Experian of 654 out of a range of 300 to 850. This piece of information alone justifies growth of Atlanta credit repair companies. Credit Repair Atlanta GA aim to get your credit score to the minimum level ( 620 ) required for conventional mortgage.